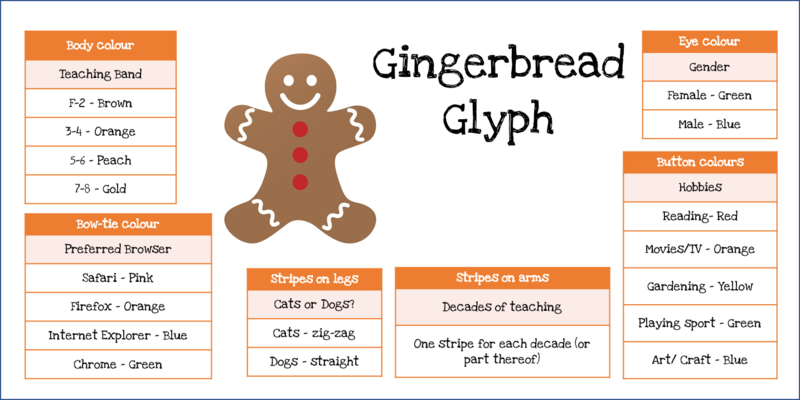 Glyphs are a fun and colourful way for students to collect, explore and sort data about themselves and their classmates using a range of themes. 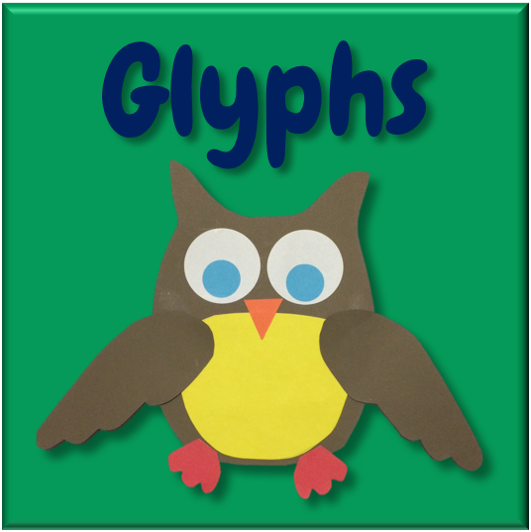 A glyph is a pictorial representation of data, and can be created using drawings, collage or digital artworks. They can be used to tie in with a seasonal theme (such as Easter or Christmas) or a topic from another subject. 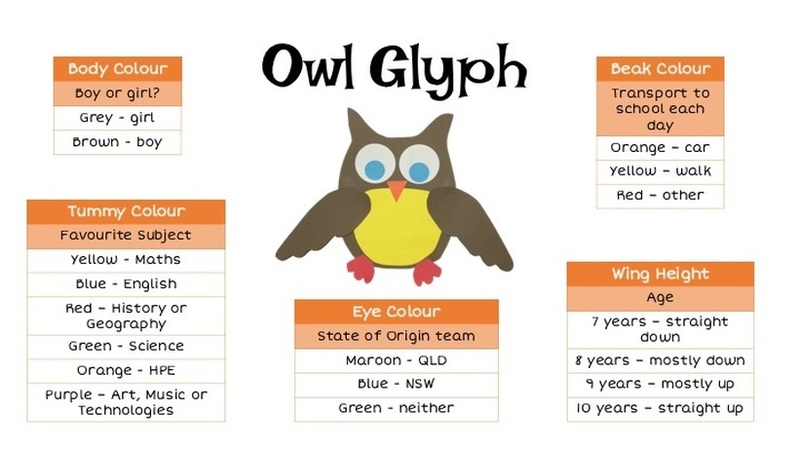 The students use the information in the tables to determine the colours they need to build their owl. Once the paper owls are complete, they can be displayed on the wall in the classroom. The students can revisit the data display to collect data about the class on different topics. Data can be collected using tally marks in a table and then used to make simple bar graphs or picture graphs about ways that students travel to school, or favourite subjects. Data can be sorted using more than one attribute to answer more complex questions such as "How many boys in our class are 8-years-old?". The class data can be analysed to see if there are patterns, e.g. "Do more girls like particular subjects than boys?" or to challenge stereotypes, e.g. "Do only boys play soccer?". 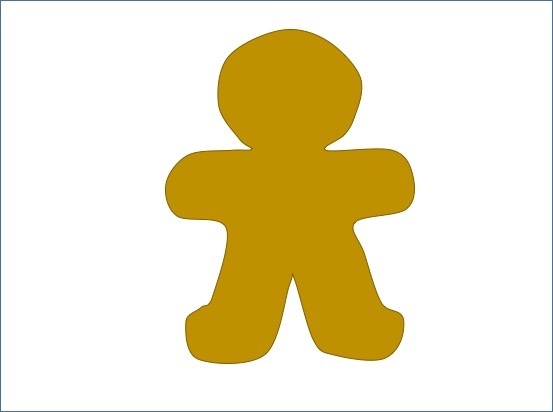 This gingerbread glyph (from Sunny Days in Second Grade) was adapted to be completed by students on the iPads using Drawing Pad. 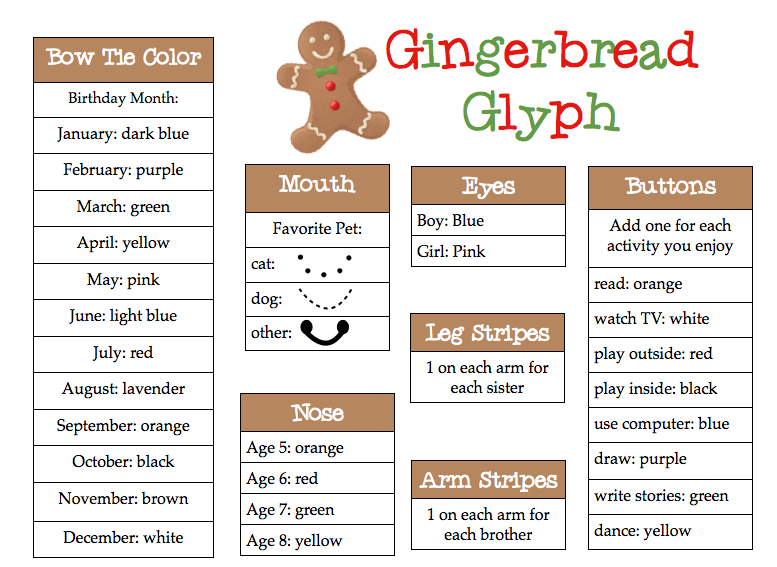 Students copied the gingerbread shape I created into their camera roll and used the information from the table to determine the decorations required for their gingerbread shape. Completing the glyph on the iPads was fun, but it was more difficult to share the results for follow-up data collection activities. To get around this, students could print their creations if they had access to a colour printer, or they could email their images to the teacher who could then display the class set on a webpage or PowerPoint slide. If glyphs are in a wall display, each day or week, reorganise the glyphs to sort on different attributes. Students can determine how they are organised.